Sunkhaze / Flewelling Handmade Small Bronze Plated Hunting Dog Bell. $34.95. Fantastic bell! Loud enough to hear in medium-high wind when the dog is off in the trees, but not so loud that I would fear he goes deaf, either. When I first put this on our 6 month old Braque Francais, he was pretty startled by it and wouldn't move. I solved this by wrapping the clapper with 3 or so layers of masking tape, which toned the volume down to a tolerable level which he didn't mind. I then periodically unwrapped a bit of the tape to make it a little louder over a few days, until after a week or so he was running around with it at full volume without noticing. This size (the "Small Bronze Plated") is perfect for our 38lb Braque. Perfect size and sound to hear my lab running through the woods while blood trailing. Very well made. Just the right size and loud enough to follow my shorthair through the thickest cover. Works great. "If you run your dog loose, this bell is good to keep tabs on their whereabouts." I can hear him all over the woods, and I feel at ease. When the bell stops for a moment or two, I call my dog and he comes back. If you run your dog loose, this bell is good to keep tabs on their whereabouts. 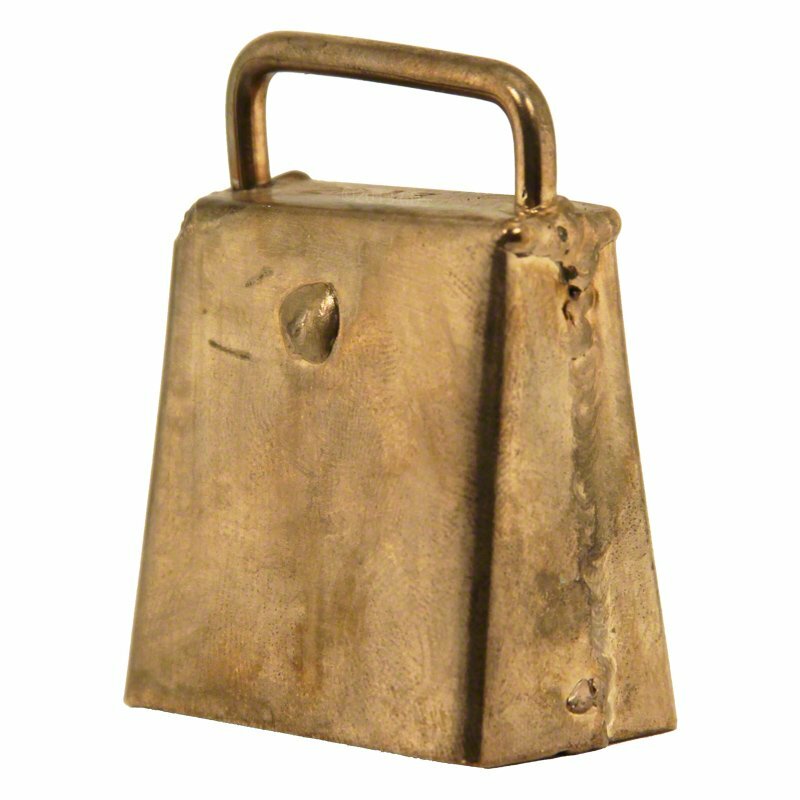 This is one of the best bells that I used. Excellent sound and toned. Perfect size. My dog sounds like a goat, but I don't care because I have 7 acres, and I can hear him all over. Perfect tone and durable for open fields or thick brush. Can hear your dog no matter where he is located. These bells work fine. I prefer a bell with more of a tone to it. This bell has more of a clank or clang sound to it. They work fine. It's just a personal preference thing. Well made and loud enough to keep track of on a big run. The tone is a little flat, more like a cowbell, but the best thing is it's well made. I am tired of cheaper bells falling apart after a few weeks work. Now if I could get different tones made this well that would be great. As I have 6 dogs that sometimes run together and need to know who is where. Easy to see. Great protection for the dog's underside.